If you’re anything like me, the management and ability to hunt large-antlered deer fills your dreams on a nightly basis. 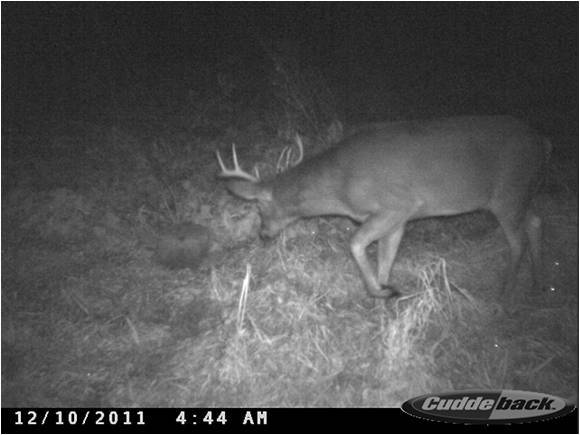 Age, genetics, and nutrition are the three key factors that affect the growth potential of any buck. Given the size of most hunting lands, very few “weekend warrior” land managers can ever gain access to enough property to manage genetics or age properly. However, nutritional supplementation even on five acres is one of the simplest ways to improve herd health and hunting potential. The ease of this management tool is often overlooked by outdoorsman but where legal can benefit all games species on the property. In this blog I will address the benefits of mineral for antler growth and overall herd health followed by how I personally utilize mineral sites (where legal) as an effective scouting and hunting strategy. A white-tailed deer’s antler is one of the fastest growing tissues known to man. This growth process demands large quantities of various minerals and protein in order for each buck to grow inches of antler per day. Supplementing your deer herd with mineral and protein blocks will allow them to have access to all of the required minerals for antler growth. Simply put if the deer have access to all the minerals and proteins they need maximum antler growth should be obtained. 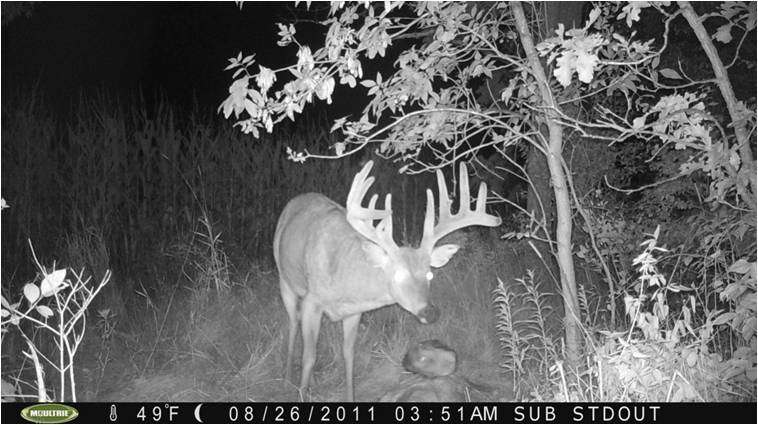 Besides maximum antler development, does can also benefit from mineral locations. By having mineral stations on your farm year round, does have access to mineral during pregnancy as well as during the fawning period when minerals from the does diet directly benefit the next generation of deer on your farm. Deer that start out with good nutrition from birth will be able to build bigger bodies faster and put on more inchers sooner. Why is this beneficial? If deer seldom live past 3.5 years on your hunting land, by giving bucks access to mineral from birth these 3.5 year old bucks will have bigger antlers and increase your chances at a trophy rack on the younger age class deer. 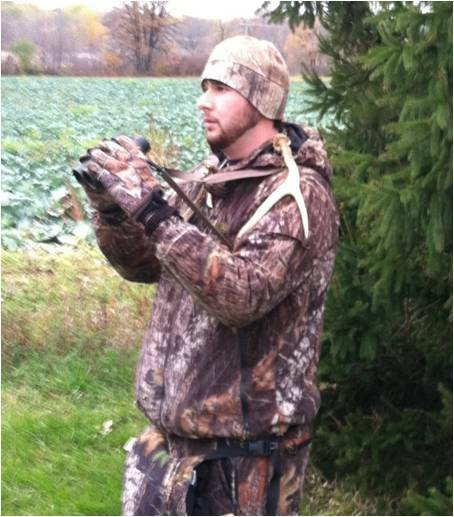 Mineral sites are great ways to concentrate deer from the surrounding area to one camera site. Mineral is inexpensive, long lasting, and cheaper than food plotting. This is beneficial to those on a budget or who cannot make numerous trips to properties to determine if a shooter buck is in the area or if it’s a doe-only spot. Also, unlike baiting with corn, which lasts less than a week, most mineral locations last an entire year. This saves money and cuts down on the amount of trips you need to make to re-bait these camera locations. By running trail cameras from June up until the week before the season, I can usually set my early season expectations and target animals before the dispersal of the fall ranges in early October. 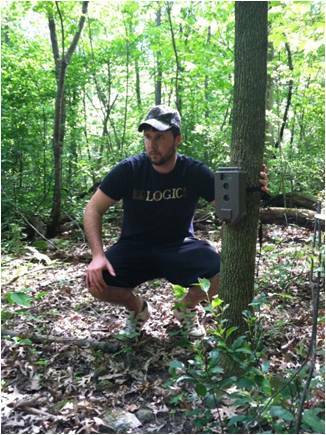 Big Game Logic.com allows me to manage all my trail camera photos and even better establish a pattern for early season scouting. This way, when the season rolls in, I know exactly where and when to be on stand. A rule of thumb I use is to have at least one mineral station per 40 acres. This allows me to cover as many buck core ranges as possible. Mineral site hunting is best early season, usually the last two weeks of September. Bucks are still recovering from the demands of growing antlers and does are also recovering from the demands of nursing fawns all summer. The north central Wisconsin buck to the left was harvested early season at a mineral station before he made his way to feed in the agricultural fields at night. Hunting the early season over a mineral site near a pond is almost a guarantee to have shot opportunities in the late summer heat. Remember - early season deer have not received much pressure and feel much more comfortable moving early to get a few licks of the mineral before they head out to the bean or alfalfa fields at dusk. Hunt the wind, sneak in early, and set up at the mineral stations. These are great staging areas as deer congregate together before they head out to the fields. Into the late season and after hunting season is over mineral sites and especially Protein Blocks are an excellent way to give the surviving deer herd the boost of energy to recover from the stress of the hunting season and the rut. I love Antler Kings Protein blocks in the Late Season near primary feeding areas. Big Bucks and pregnant does can stop and refuel and recover without having to travel great distances. By giving the bucks access to these minerals and protein they will have less winter stress and will allow them to grow larger antlers and add more body weight for the coming season. 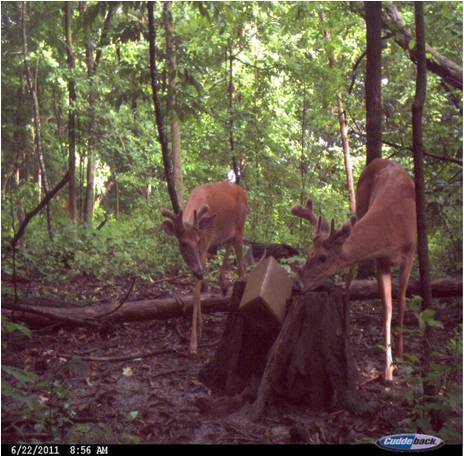 Nutritional demands of deer can be addressed on even the smallest of acreage. Nutritional supplementation is one of the simplest and most affordable ways to improve the health and hunting potential of any hunting grounds, regardless of the size. The ease of this management tool is often overlooked by outdoorsman but where legal can benefit all games species on the property. The ability of minerals to concentrate deer for summer scouting and as a viable early season hunting opportunity is something that benefits the chances of the hunter greatly. It is also beneficial for the health of the animal we dream of year round. Remember to check your state’s game regulations, I know here in Wisconsin several of my farms I cannot use mineral but where legal you better believe I will have it available to my deer year round.